Chilean Grape Juice - Gino Pinto Inc.
We offer the following juice varieties from Chile in 6-gallon pails to our home winemakers. Muscat Canelli produces outstanding sweet dessert wines and also forms the basis of Asti Spumante. Wines made from Muscat are generally sweet and very floral. Varietal aromas and flavors have been described as coriander, peach, and orange. The Muscat family of grapes is widely grown for wine, raisins, and table grapes. Colors range from white to almost black, but almost always have a pronounced sweet floral aroma. 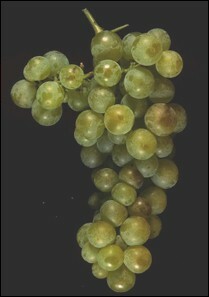 Muscat is perhaps the oldest domesticated grape varieties due to the breadth and number of varieties. Riesling is grown historically in Germany, The Alsace region of France, Austria, northern Italy, and now in Chile. 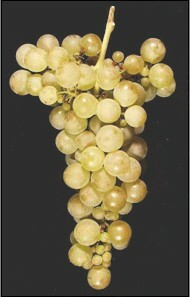 Riesling can be produced into dessert wines by late harvest, through evaporation caused by the fungus Botrytis Cinerea or “noble rot”, or by freezing (ice wine). These wines have high sugar content, high acid, with great flavor. Rieslings are also made into non-dessert wines that range from dry to sweet. Some have crisp lightness with detectable peach aromas. Riesling’s naturally high acidity and range of flavors make it suitable for extended aging. Sauvignon Blanc has a distinctive, sharp aroma with naturally high acidity. Sauvignon Blanc from California tend to be either one of two styles. The first a fruity style with tropical fruit undertones or a barrel aged style with more rounder melon notes. Aromas have been described as grass, weeds, lemon-grass, gooseberry, bell pepper, green olive, asparagus, capsicum, grapefruit, lime, and melon. Sauvignon Blanc is the wine that accompanies the greatest variety of foods. 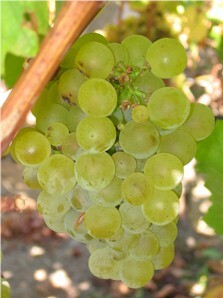 Sauvignon Blanc also is a component of the dessert wines Sauternes and Barsac. Viognier is believed to have been brought to the Rhone region of France by the Romans and to have originated in Dalmatia. The best Viognier wines are known for their powerful fruit and floral aromas. 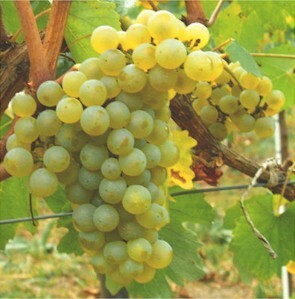 Viognier typically produces medium bodied wines with relatively low acid content. This wine is best drunk young since aging allows the fruit and aromatic strength of Viognier to fade away. Viognier typically has a deep golden color and flavors and aromas have been described as orange blossom, acacia, violet, honey apricot, mango, and pineapple. 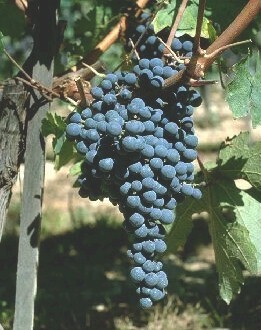 Cabernet Franc is one of the major varieties of red wine grape in Bordeaux, France. It is often blended with Cabernet Sauvignon and Merlot to create a Meritage. Cabernet Franc is also vinified alone. Cabernet Franc is lighter than Cabernet Sauvignon and can contribute finesse and a peppery perfume to blends. Depending on the growing region and the style of wine, additional aromas can include tobacco, raspberry, and cassis, sometimes even violets. 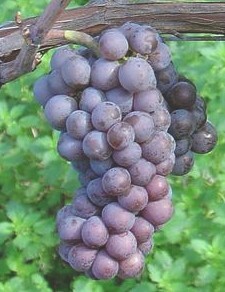 The Cabernet Franc wine’s color is bright pale red. Cabernet Sauvignon blends well with many other grapes and can bring out the best qualities in both. When blending Cabernet with Merlot it creates a softer, smoother wine with less acid and more complexity. Merlot is thin skinned and less tannic than Cabernet Sauvignon, so it has a rounding effect on the texture. Wine made from Carmenere can be deep red with aromas of red fruits, spices and berries. The tannins in this grape are softer and gentler than Cabernet Sauvignon. Carmenere blends well Cabernet Sauvignon, Merlot, Malbec, and Cabernet Franc. Carmenere has been described as cherry-like, spicey, earthy, and smokey. Carmenere was originally planted in the Medoc region of Bordeaux, France. 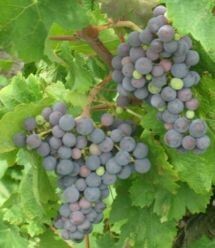 Cuttings were taken to Chile in the 19th century where it was widely planted and confused with Merlot. 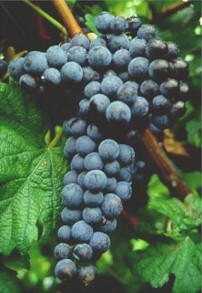 In 1994 it was confirmed that it was the earlier-ripening vine, Bordeaux Carmenere and not Merlot. Carmenere is rarely seen in France and has become Chile’s signature grape known as “the lost grape of Bordeaux”. Malbec wine flavors have been described as plum-like, spicy, and earthy. 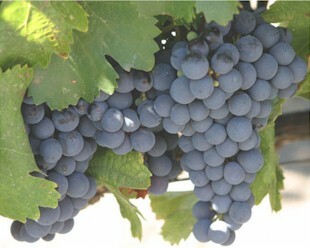 Malbec is commonly blended with Cabernet Sauvignon and Merlot. Malbec can bring very deep color, ample tannin, and a particular plum-like flavor component to add complexity to these blends. Malbec is a grape originally grown in France and is one of the grapes used in the blending of red Bordeaux wine. Malbec is now widely planted in Argentina and has become it’s signature grape. Malbec is a black, mellow, thin skinned grape which can produce wines with a very deep color with ample tannins. Merlot is one of the most popular varietals in the U.S. and usually has medium body with hints of berry, plum, and currant. Merlot is softer, has a higher sugar content, lower malic acid, and lower tannin than Cabernet Sauvignon. Merlot is an ideal grape to blend with Cabernet Sauvignon for these reasons. 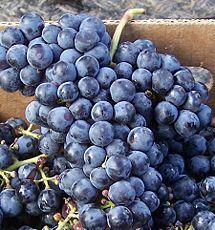 Merlot grapes are identified by their loose bunches of large berries and black color. Wines made from Syrah are often full bodied with aromas ranging from violets to berries, chocolate, espresso and black pepper. Syrah is widely used to make a dry red table wine and is often blended with Cabernet Sauvignon, Merlot, Grenache, Mourvedre, and Viognier. 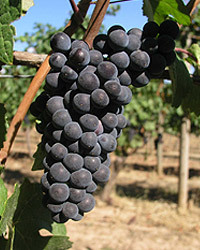 Syrah is also called Shiraz in Australia, South Africa, and Canada. Syrah / Shiraz should not be confused with Petite Sirah which is another grape variety which is a hybrid of Syrah with Peloursin.